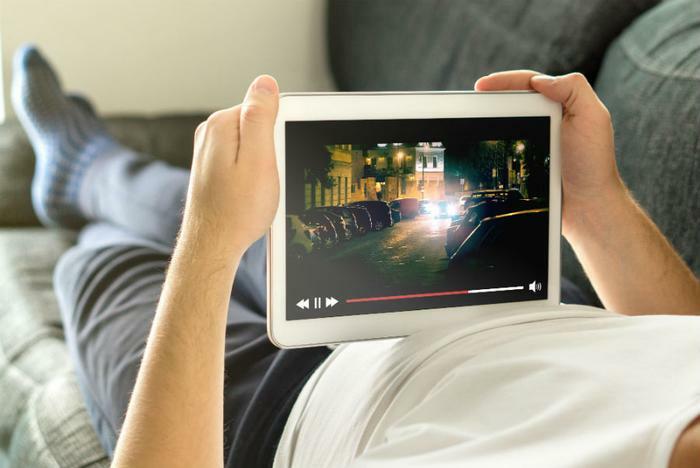 Half of American households (55 percent) now subscribe to at least one video streaming service, according to consulting firm Deloitte’s 12th annual digital media trends survey. That figure represents an increase from last year, when 49 percent of households subscribed to at least one streaming service. The number has surged dramatically since 2009, when just 10 percent of consumers subscribed to a video streaming service. The average streaming customer subscribes to three streaming services, and U.S. consumers spend $2.1 billion a month on video streaming service subscriptions. Of the 2,088 consumers surveyed, over half said they decided which video streaming service to subscribe to based on the amount and quality of exclusive content the service had. Others said factors such as commercial-free content and the ability to watch movies and shows at anytime guided their decision. The survey found that the average American consumes 38 hours of video content each week -- 15 hours (or 39 percent) of which is streamed. “Consumers now enjoy unparalleled freedom in selecting media and entertainment options and their expectations are at an all-time high,” said Kevin Westcott, vice chairman and U.S. media and entertainment leader for Deloitte. The number of households that subscribe to a traditional TV service delivered via cable, satellite, and fiber has dropped to 63 percent from 74 percent in 2016, according to the report. Among millennials (ages 21-34), 22 percent said they have never subscribed to pay TV. Of those who said they no longer had pay TV, 27 percent said they had “cut the cord” within the past year. Nearly half (46 percent) of pay TV subscribers said they are dissatisfied with their service and 70 percent of all consumers said pay TV wasn't a good value. Around half (56 percent) of consumers who currently subscribe to a pay TV service say they keep it because it’s bundled with broadband service.